Draft: 2011, Toronto Blue Jays, 24th rd. November 19, 2018 Toros del Este placed LHP David Rollins on the reserve list. November 2, 2018 LHP David Rollins elected free agency. October 13, 2018 LHP David Rollins assigned to Toros del Este. August 16, 2018 Seattle Mariners signed free agent LHP David Rollins to a minor league contract. August 16, 2018 LHP David Rollins assigned to Tacoma Rainiers. August 3, 2017 Iowa Cubs released LHP David Rollins. July 31, 2017 Iowa Cubs activated LHP David Rollins from the 7-day disabled list. July 25, 2017 Iowa Cubs placed LHP David Rollins on the 7-day disabled list. June 26, 2017 Iowa Cubs activated LHP David Rollins from the temporarily inactive list. June 25, 2017 LHP David Rollins assigned to Iowa Cubs. June 22, 2017 Iowa Cubs placed LHP David Rollins on the temporarily inactive list. February 13, 2017 Chicago Cubs sent LHP David Rollins outright to Iowa Cubs. February 8, 2017 Chicago Cubs designated David Rollins for assignment. December 23, 2016 Chicago Cubs claimed LHP David Rollins off waivers from Texas Rangers. December 21, 2016 Texas Rangers claimed LHP David Rollins off waivers from Philadelphia Phillies. December 14, 2016 Philadelphia Phillies designated LHP David Rollins for assignment. December 2, 2016 Philadelphia Phillies claimed LHP David Rollins off waivers from Texas Rangers. November 22, 2016 Texas Rangers claimed LHP David Rollins off waivers from Chicago Cubs. November 18, 2016 Chicago Cubs claimed LHP David Rollins off waivers from Seattle Mariners. September 4, 2016 Seattle Mariners recalled LHP David Rollins from Tacoma Rainiers. July 29, 2016 Seattle Mariners optioned LHP David Rollins to Tacoma Rainiers. July 23, 2016 Seattle Mariners recalled David Rollins from Tacoma Rainiers. July 20, 2016 Seattle Mariners optioned LHP David Rollins to Tacoma Rainiers. July 6, 2016 Seattle Mariners recalled David Rollins from Tacoma Rainiers. July 5, 2016 Seattle Mariners optioned David Rollins to Tacoma Rainiers. June 24, 2016 Seattle Mariners recalled David Rollins from Tacoma Rainiers. June 18, 2016 Seattle Mariners optioned LHP David Rollins to Tacoma Rainiers. June 17, 2016 Seattle Mariners recalled David Rollins from Tacoma Rainiers. March 20, 2016 Seattle Mariners optioned LHP David Rollins to Tacoma Rainiers. September 1, 2015 LHP David Rollins assigned to Peoria Javelinas. July 4, 2015 David Rollins roster status changed by Seattle Mariners. June 18, 2015 sent LHP David Rollins on a rehab assignment to Tacoma Rainiers. March 27, 2015 Seattle Mariners placed LHP David Rollins on the restricted list. 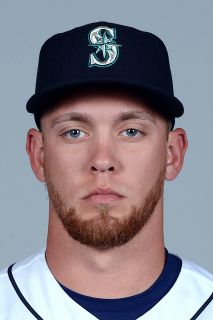 December 11, 2014 Seattle Mariners drafted LHP David Rollins. October 30, 2014 LHP David Rollins assigned to Cangrejeros de Santurce. October 30, 2014 Cangrejeros de Santurce placed LHP David Rollins on the reserve list. October 30, 2014 Cangrejeros de Santurce activated LHP David Rollins. September 17, 2014 Corpus Christi Hooks activated LHP David Rollins from the temporarily inactive list. September 1, 2014 Corpus Christi Hooks placed LHP David Rollins on the temporarily inactive list. May 11, 2014 Corpus Christi Hooks activated LHP David Rollins from the 7-day disabled list. April 14, 2014 Corpus Christi Hooks placed LHP David Rollins on the 7-day disabled list. March 21, 2014 LHP David Rollins assigned to Houston Astros. August 1, 2013 LHP David Rollins assigned to Corpus Christi Hooks from Lancaster JetHawks. July 29, 2013 David Rollins assigned to Lancaster JetHawks from Oklahoma City RedHawks. July 27, 2013 David Rollins assigned to Oklahoma City RedHawks from Lancaster JetHawks. April 1, 2013 David Rollins assigned to Lancaster JetHawks from Quad Cities River Bandits. March 25, 2013 LHP David Rollins assigned to Houston Astros. July 23, 2012 Lexington Legends activated LHP David Rollins. July 8, 2012 David Rollins roster status changed by Lansing Lugnuts. March 31, 2012 LHP David Rollins assigned to Lansing Lugnuts from Vancouver Canadians. July 13, 2011 David Rollins assigned to Vancouver Canadians from Bluefield Blue Jays. June 21, 2011 David Rollins assigned to Bluefield Blue Jays from Toronto Blue Jays. June 19, 2011 Toronto Blue Jays signed LHP David Rollins.